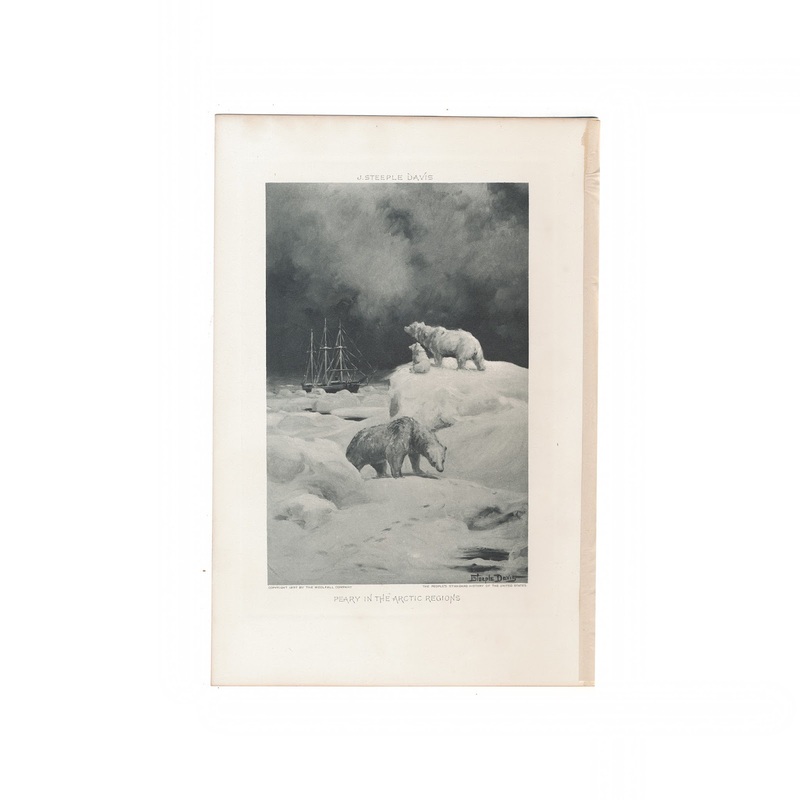 This illustration is titled "Peary In The Arctic Regions." and was produced by J. Steeple Davis. The paper is generally clean and bright, with no significant tears or stains. Some light foxing/aging to edges. Original tissueguard is included. 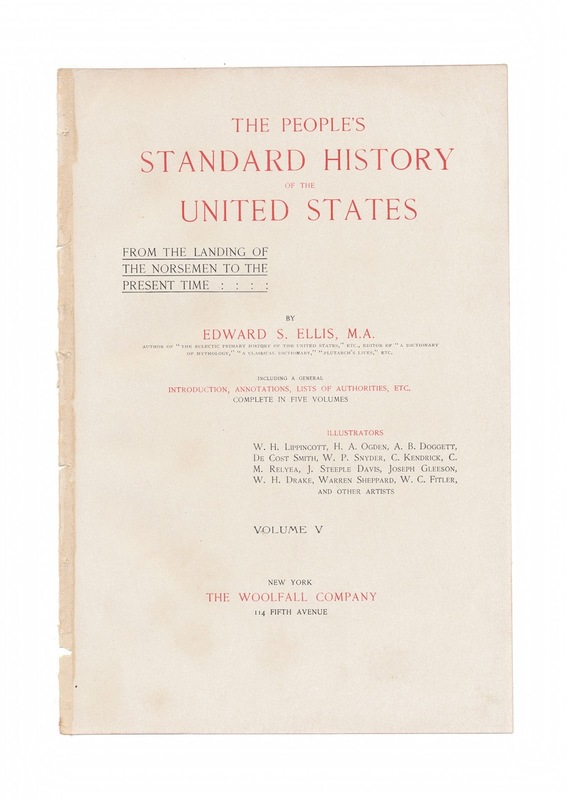 Title and copyright pages from the original book shown for informational purposes and is not included with the sale.